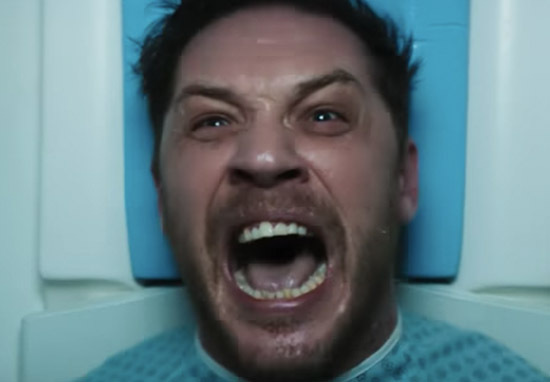 We’re a week away from Venom hitting the big screen but Tom Hardy’s already got big plans for his fanged alter-ego. 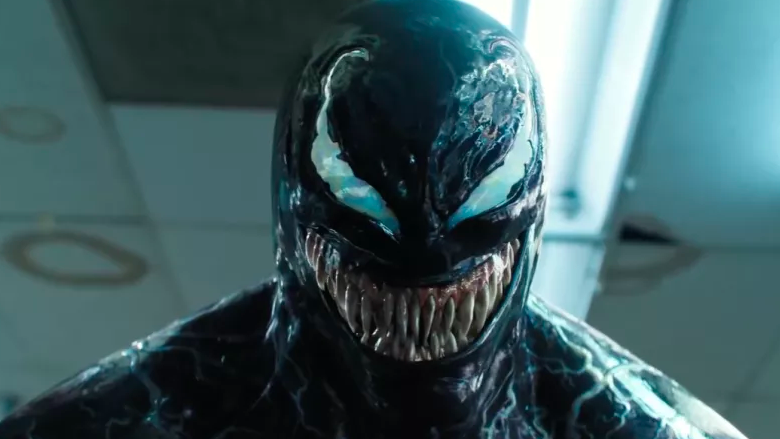 According to a new interview, Hardy wants Venom to appear in the Marvel Cinematic Universe where he’d presumably battle his nemesis Spider-Man. 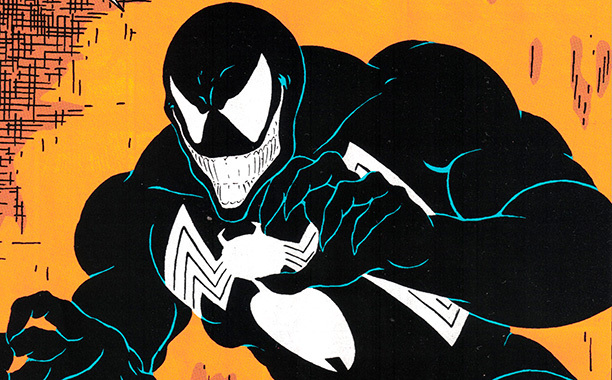 Not only does Hardy want Venom to throw down with the Wallcrawler, but he also wants to take on Earth’s mightiest heroes as well, although he admits that may be a bit beyond the symbiote’s pay grade. There’s a lot within the real estate that you can actually imbue with a complete sense of gratuity to sell to fans if you really wanted to, and I think you’ve got the right people for the job if you want to push it ’cause that’s where I’d love to go with it. I’d like go through all the Avengers with him, but that’s above my pay grade. Venom and Spidey have always shared a close bond (see what we did there) in the comics but the nefarious licensing laws which prevent them crossing over on the big screen may pose an insurmountable obstacle for the super-powered duo. You see while the movie rights to Venom and Spider-Man technically belong to Sony, they’ve lent the rights to Spidey back to Marvel Studios and Disney. Under their agreement, the Web-Head can appear in the MCU, where he’s free to interact with the Avengers, and Sony receive a share of the profits. Sony is also free to develop their own ‘Marvel Universe’, using Spider-Man’s rogues’ gallery and supporting characters, called Sony’s Universe of Marvel Characters. It seems, however, Sony cannot use Spider-Man himself in their films, nor can characters within Sony’s universe appear in the MCU or Marvel Studios films. This fact hasn’t got Tom Hardy too down though, in fact, he said he’s more than happy to keep Venom in his own little web away from the MCU. If not, we’re more than happy to stand alone. We have a Venom-Verse and 900 characters to play with. Hardy’s not wrong, Sony does have a lot of famous characters to work with and are currently developing a Morbius the Living Vampire film which will apparently star Jared Leto, a Black Cat movie, a Silver Sable film and they have even started writing a Kraven the Hunter script. To editorialise though the issue that Sony’s Universe of Marvel Characters (SUMC) is going to run into pretty quickly is that a lot of these characters are defined by their relationship to Spider-Man. Take Venom for example, what made the character so interesting is that both Eddie Brock and the symbiote hated Peter Parker in a way most villains don’t. Not only that, the fact that Spider-Man had worn the symbiote prior to Brock meant that it had intimate knowledge about Peter, including all his secrets, which made the villain extremely unsettling. Venom didn’t just attack Spider-Man in costume, he tortured and tormented him when he was Peter Parker as well, revelling in the Web-Head’s fear. This was unique to Venom and I’d argue is what made him so popular along with his iconic black and white design. By removing Spider-Man from his origin you, unfortunately, remove these elements and are left with a character that resembles Eddie Brock but lacks the quintessential venom which made him popular in the first place. Venom opens in cinemas on October 3.